He said seemingly, and without seeing a written confirmation, the store calendar, or anything else, seemingly is right.. Nothing wrong with it just because he hadn’t seen your earlier post. I visited three stores and called customer services last week - all the same response 'no plans for release' - maybe they received the calendar more recently that that? Regardless, i did not see your original comment. So the Bricktober set was supposed to be at Toys 'R Us again from friday, but I was extremely busy and I couldn't even find time to call. I just called at all of them and none of them have it or are expected to have it again anytime soon, but guess what- the other Bricktober sets are even stocked online. I am really, really upset right now- I haven't bought any of the new HP sets and all I wanted was an Umbridge so I could make a photo series out of it; "101 Ways to Kill Umbridge". And I really can't afford to spent 50 bucks on a couple of minifigures-. Just called a Barnes and Nobles in Michigan and some of the employees have heard of them...so that's a good sign, right? 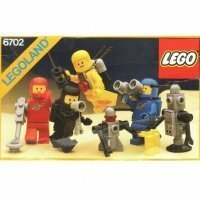 Does anyone have a B&N product number for the promotional set? 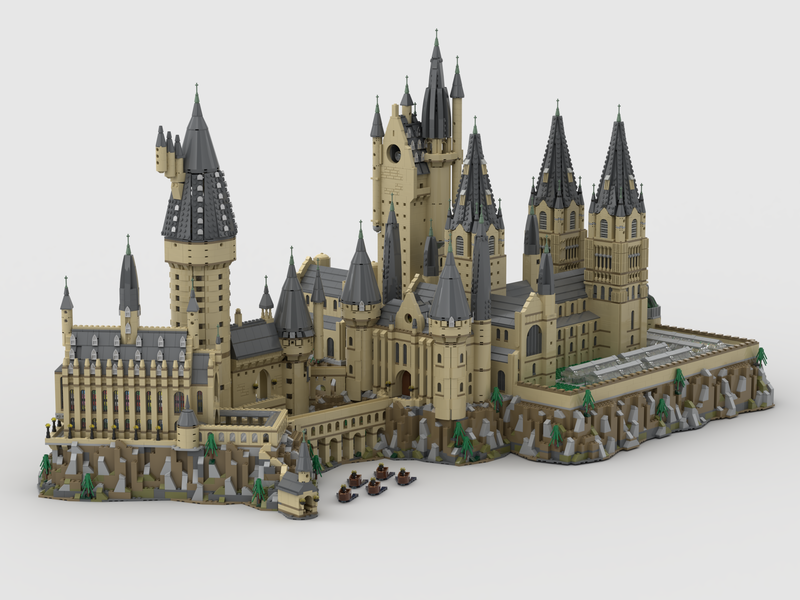 “Ryankroboth” has built a MOC render of the the missing half of Hogwarts Castle. You can view it here. It is still missing a few segments but this is what i am personally hoping we get as a set eventually. I’m taking this with a grain of salt... but have people seen a version of Hagrids Hut just recently added to IG about 1 hour ago, claiming it’s the new Hagrids hut set. A version of Hagrids Hut just recently added to IG about 1 hour ago, claiming it’s the new Hagrids hut set. I guess you mean this one. 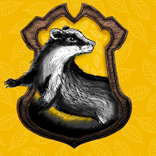 It's been making the rounds a bit recently - its a custom, but pretty amazing work and would definitely get it for Buckbeak if it existed. That’s the one! That’s a great custom, would love to get a new official buckbeak mould like that. Ahh can’t wait to hear news of new sets. So at this point regarding the Bricktober pack in the US it seems like our only option is to wait and see if more packs get released either at BN or Lego? Nothing else to do at the moment? Apparently there are no plans for it to come to Australia. I just picked one up from a Singaporean based BL store. $45 AUD (30 USD) + $13 shipping. It arrived well packaged and mint, so I’m very happy. I figured the minimum spend to get it ‘free’ in store was like $40 anyway, and would have been higher here, if available. When the Bricktober Harry Potter set was available at US Barnes and Noble, It didn't seem like anyone mentioned it until a little later... is there a place that I can follow which will let me know a bit earlier? I'm worried I missed it. I've suspected some people with insider's knowledge about BN. Honestly none of the Lego outlets saw this coming until it was too late. I've read a comment on Brickset from someone who claimed to have spoken with a BN manager who said they had received a message from corporate saying they shouldn't have even sold these and that they'll be part of a promotion in the future. On TheBrickFan someone claimed to have read somewhere that these will be a GWP in November so that would be consistent with that. So don't buy on eBay just yet, US folks! I just returned from my local Barnes and Noble and spoke to the manager regarding the Bricktober pack. He confirmed for me that it IS a gift with purchase for purchases over $75 starting November 17th. It would appear that any prior sales were either not supposed to happen, or some sort of "test" to see how high they price point could be for the free gift. Can confirm. I called stores a few minutes ago in Ft. Myers Florida and Chicago Illinois (I travel for work). Both gave the same info - November 17th street date, purchase over $75. Is that in stores only or online as well? I have a local Barnes and Noble but they never had any Kessel Mine Worker polybags during the promotion (that may still be going on). Oh that's fantastic! I literally just made an offer on one on eBay too, so now I'll just retract that and wait patiently. am i the only one who has a problem at spending $75 at Barnes and Nobles? The one near me never has anything that is good plus it usually costs more there than anywhere else. You're probably better off buying it from the secondary market, then. You just have to wait for the prices to drop as these are gradually released.